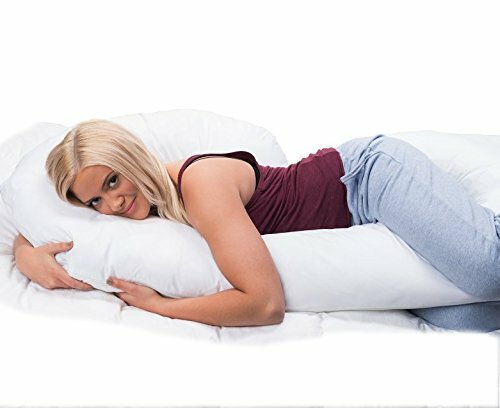 Best Body Pillow For Pregnancy | Pregnancy Pillow - What to Expect? 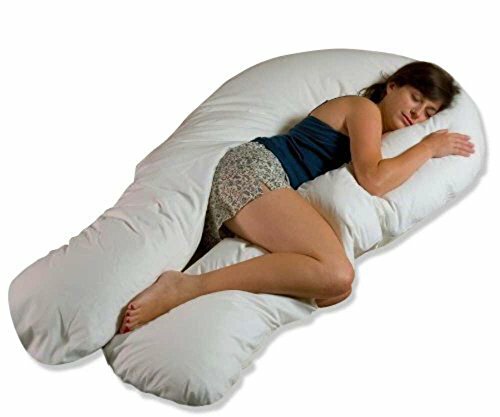 Home All	Best Body Pillow For Pregnancy | Pregnancy Pillow – What to Expect? One of the main effects of pregnancy is to always feel sleepy and to have a continuous need to sleep or rest. It is a perfectly natural feeling: after all, the body of a pregnant woman works much more intensely than normal, since the fetus is constantly nourished and protected. At a certain point in the gestation, however, rest can become really problematic and the causes are varied. The urge to the urination becomes very frequent, the heartbeat accelerates, the digestion becomes difficult, besides it is not rare to feel nervous and stressed in view of the birth. 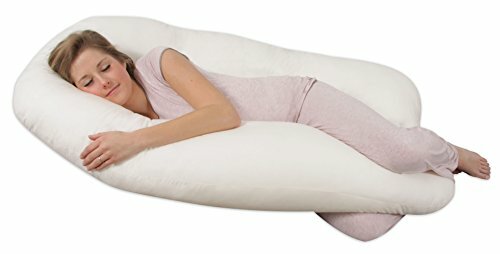 Why use a body pillow for pregnancy? 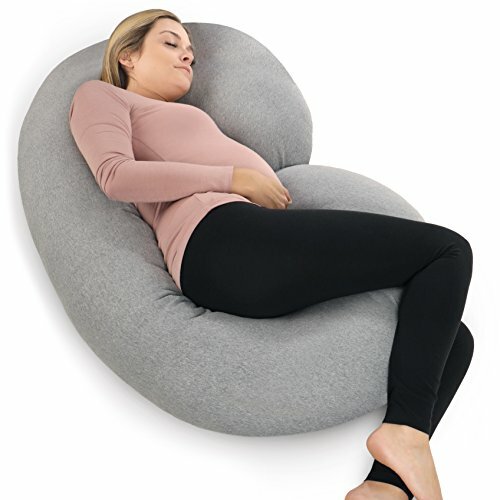 The main reason, in fact, is certainly the increase in the size of the fetus; with the passing of the weeks, in fact, the belly becomes more and more voluminous, and finding a comfortable and relaxing position for sleeping seems almost impossible. In these cases, experts advise to lie down on the left side so that the uterus does not exert an excessive pressure on the inferior vena cava: in this way, the circulation will be fostered and the fetus will receive the optimal blood flow. The ideal, then, would be to keep the legs bent, so as to alleviate the tension to which the thighs and the pubis are subjected. Taking this position becomes, from a certain point on, quite natural, since any other would be impossible; it is not said, however, that keeping it and relaxing really is just as easy. 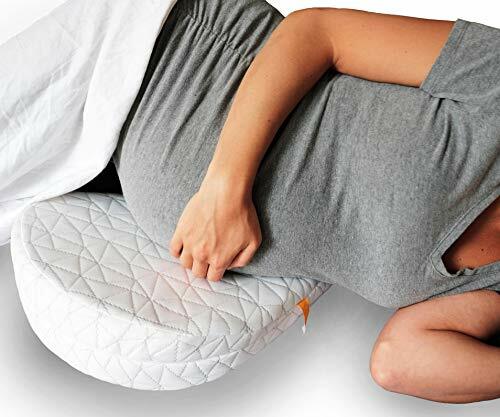 It is in these cases that you can rely on the pillow for pregnancy, a special cushion designed to give relief to future mothers during the rest, whose structure is designed to provide the body with all the necessary support. 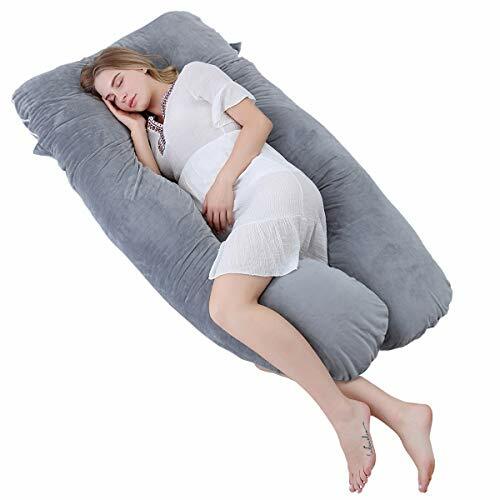 For some years now, the cushions for pregnancy have become a highly appreciated accessory and there are many types on the market, which differ not only in terms of form but also in terms of the materials used. In this purchasing guide we will see what are the main factors to evaluate before buying a body pillow for pregnancy: in this way, identify the model that best suits your needs will be really simple! 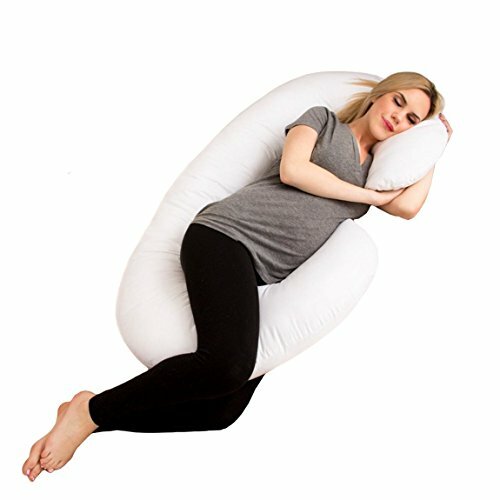 The first element that should be considered before making the purchase is the shape of the pillow for pregnancy. 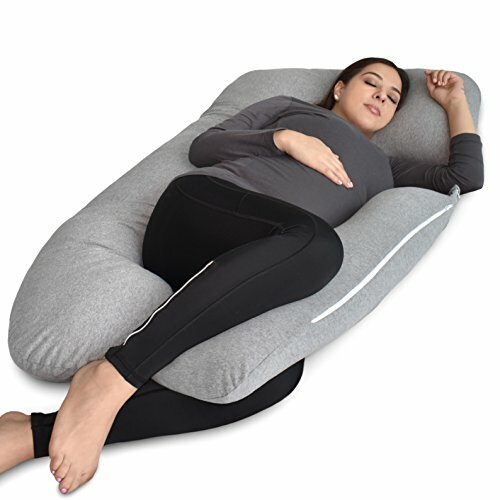 The models currently available on the market, in fact, have different structures, each of which is designed to provide support to specific points of the body during sleep. In the following paragraphs, we will see in detail what are the most common forms and what are the advantages (or disadvantages) of each of these types. 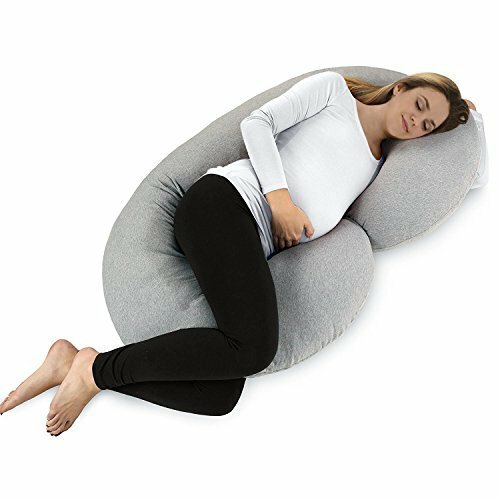 The mini pregnancy cushions are the smallest of the models available on the market and are distinguished by a particular shape that we could call “wedge”. 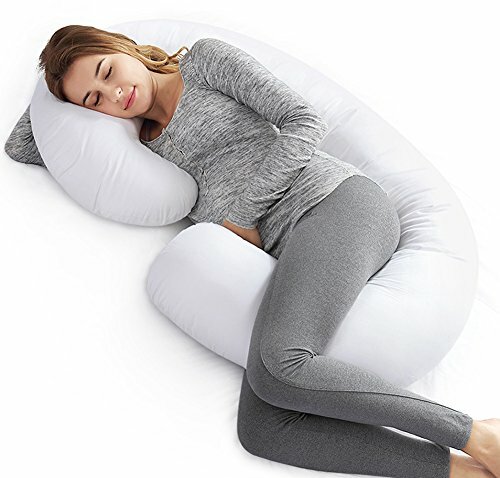 the mini pillow, therefore, can act as a support for the belly, between the legs, or be placed behind the back for a more comfortable seat. Many models of this type can also be useful after pregnancy because thanks to their ergonomic shape they can be used as a support for the arms and for the newborn during lactation. 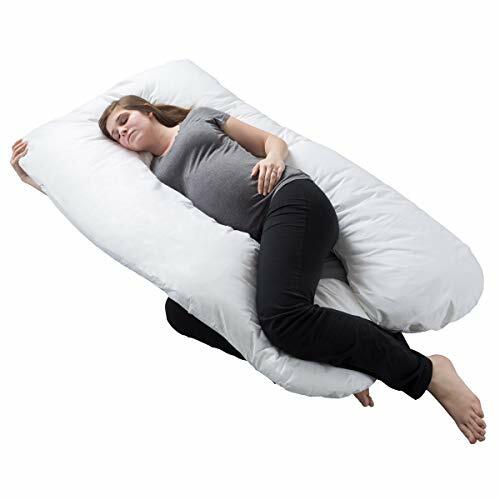 moreover, this type of pregnancy pillow generally has a fairly affordable price. 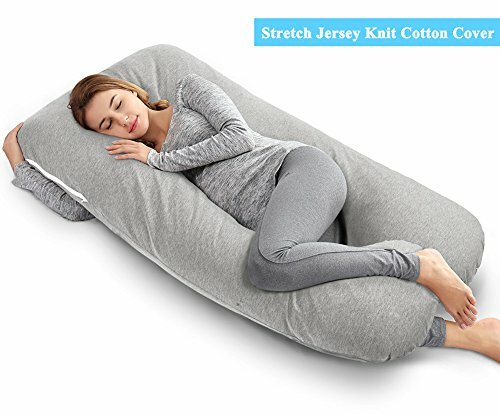 On the other hand, because it is small and compact, the mini model can support a reduced body section and involves the use of an additional head cushion, which could be uncomfortable for someone. As the name suggests, these models have the function of ensuring support to the whole body, supporting the head, stomach and back at the same time. 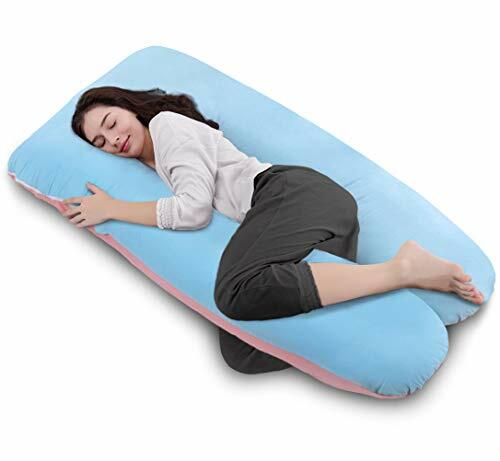 The support provided by the total body cushions, moreover, is better than that of the elongated cushions: the latter, in fact, are generally much softer, a feature that makes them quite comfortable during sleep but that leads them more easily to deform. 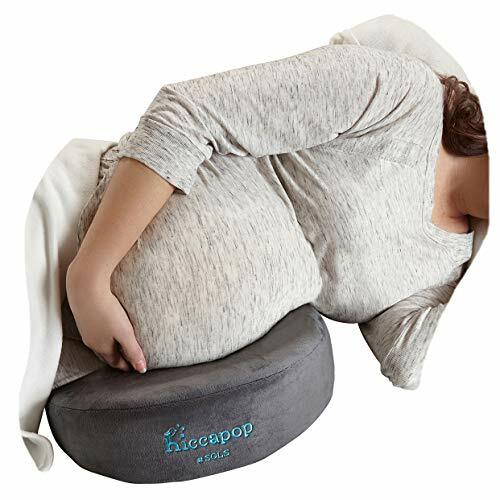 Even the total body cushions, finally, can be used after pregnancy, not only to facilitate lactation but also, thanks to their good stiffness, as support when the child is older and will have to learn to stand up independently with the neck and the back. 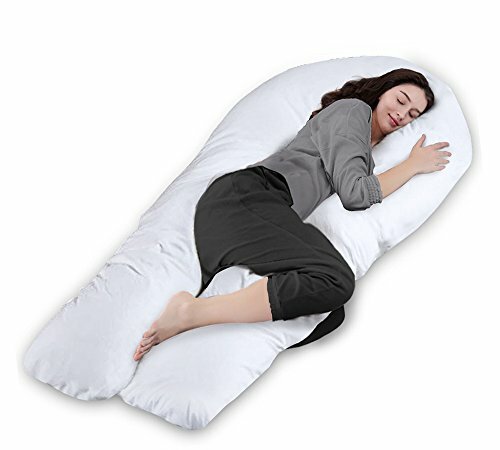 among all the types of existing pregnancy body pillow, these are probably the models that provide the best support. In this case, the head should be placed on the central portion of the U, leaving the two “arms” padded to wrap the rest of the body. moreover, since it is a single piece, it will not be necessary to purchase and manage additional cushions. On the other hand, if you want to buy a total body model, you need to make sure that you have the necessary space to use it and store it since the overall dimensions are much greater. 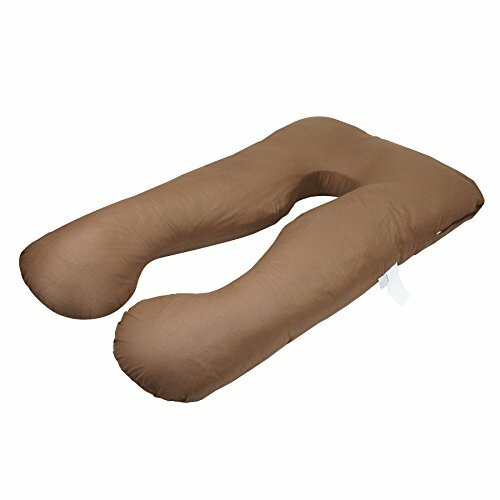 Finally, we emphasize that total body cushions are usually more expensive than the other models described above. 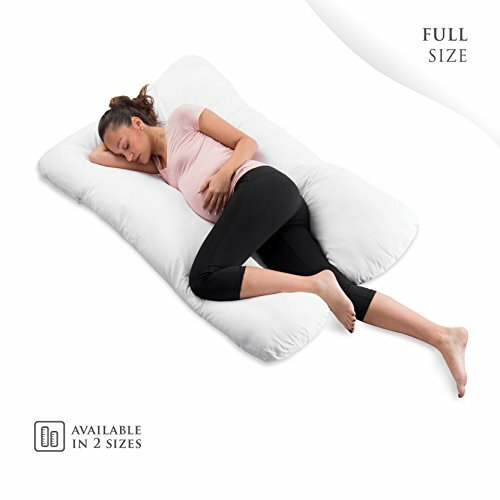 As already mentioned, the padding is another key factor when it comes to cushions for pregnancy: having to provide adequate support without sacrificing comfort is very important that the pillow is sufficiently rigid to support the body without deforming but, at the same time, soft enough to guarantee a comfortable rest. The material of which the cushion is padded, therefore, is really able to make the difference. on the other hand, because they are less breathable, synthetic materials are not advisable during the summer, as they could make the future mother sweat. The natural padding, instead, is to be preferred in the case in which you have a sensitive skin and tends to redden or irritate easily, because these materials are able to keep cool in summer and warm in winter, ensuring maximum comfort. 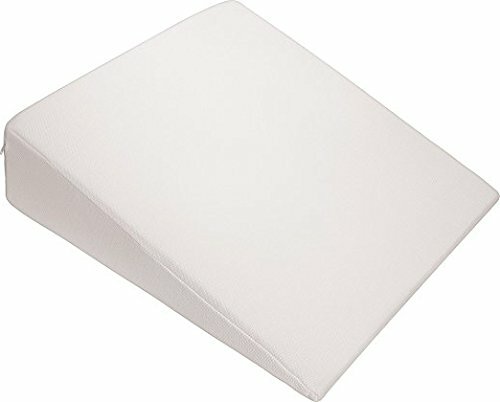 It should be remembered, however, that the natural padding is decidedly less practical in terms of washing and cleaning the pillow; moreover, compared to synthetic fiber, it is certainly heavier. Spelled chaff stuffing: it is a natural stuffing, made up of the membrane that wraps the spelled grains and which is discarded during their processing. Padding in millet chaff: also in this case we are talking about a natural padding, made up however of the membrane covering the millet beans. This material has the same properties as spelled husks, although compared to the latter it is less widespread. Therefore, a millet chaff padding has the advantage of staying cool during the hot summer months, while it will retain body heat during the colder seasons; in the same way, however, we will not be able to wash this type of pillows either in the washing machine or by hand, but only to air them regularly. Lastly, millet chaff cushions are heavier and noisier than cushions with synthetic padding. 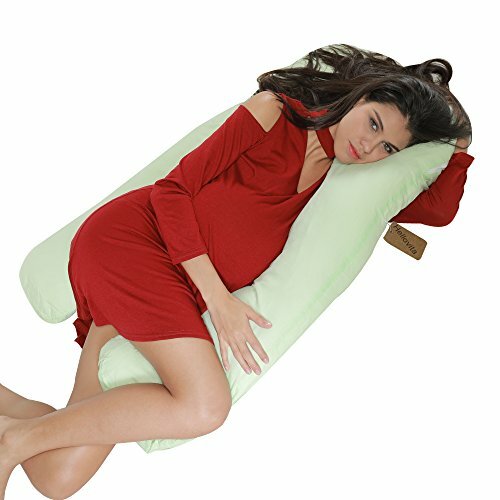 Finally, before buying a pillow for pregnancy, another crucial element must be taken into consideration, namely the lining covering the pillow. The material that covers it, in fact, constitutes the outermost layer, or the one that will be in close contact with the skin of the future mother, and for this reason, this feature must be evaluated carefully. 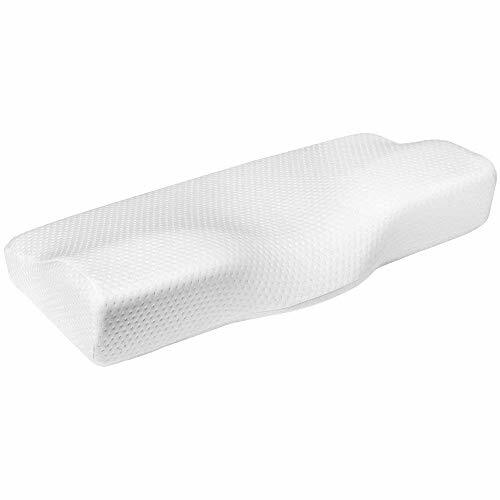 Exactly as for the padding, we can divide the covers currently available in two main types: linings in synthetic fiber and linings in natural fiber. natural fiber linings are probably the best choice: they are generally materials such as cotton or bamboo, fabrics that are soft to the touch and delicate on the skin, leaving you feeling fresh. 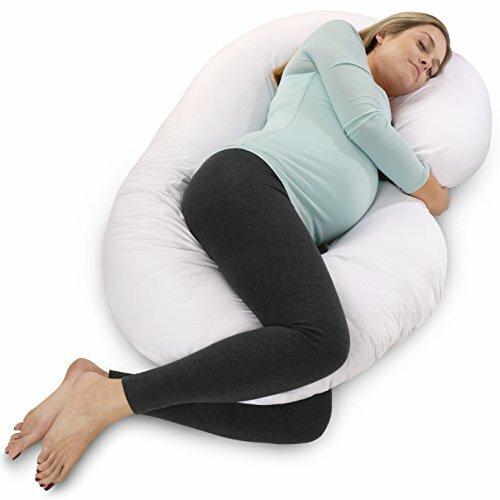 To conclude, we must not forget that the pillow for pregnancy, precisely because it is constantly in contact with skin and hair, tends to get dirty often and consequently will need frequent washing: for this reason, it is advisable to check that the chosen model is removable with ease and, obviously, machine washable.